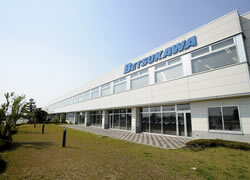 At Betsukawa’s factory, the host computer consolidates all information related to the production processes: production schedule, process plan, procurement plan, entering and taking out work in process or raw material from the warehouse, progress management, and delivery date management. Receiving the information, the central distribution system plays a major role in products/parts conveyance, storage, and process management, thus managing delivery date and reducing lead time. 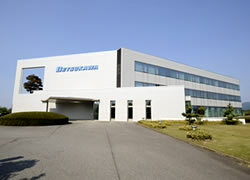 Betsukawa’s Creative Center is at the core of Ishikawa’s Software Research Park (Hakusan, Ishikawa), which is the base for research and development. Here is where we positively address research and development of products applying new technologies and materials, such as development and commercialization of FA-OA systems; control design of a variety of plants; system design of building management and telecommunications; electric facilities design; procurement of equipments; process management, inspections, trial runs, and maintenance.